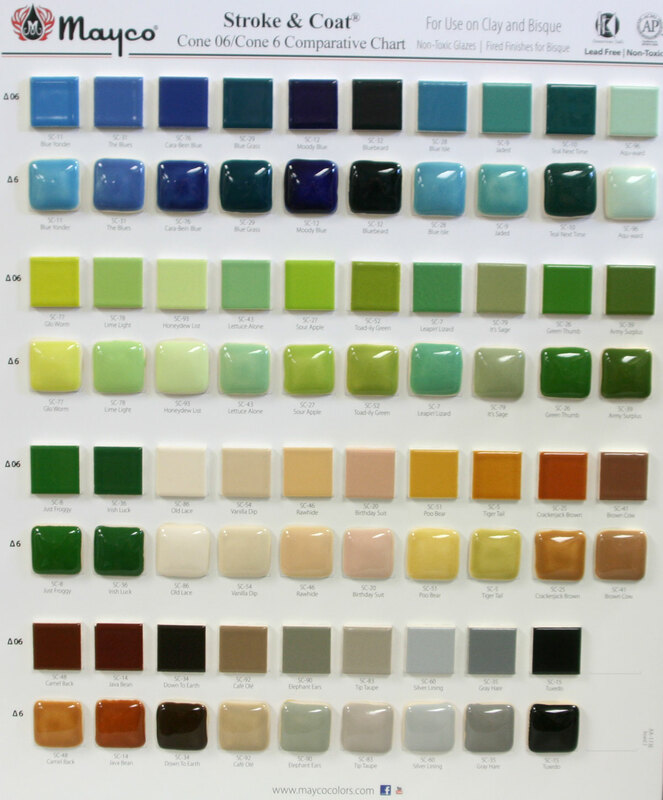 Stroke & Coat is the premier product to use in the "One Fire" method of decorating on bisque. Apply to bisque, let dry, and fire, producing a finish that is practically fool proof. One coat gives transparent coverage, two gives semi-opaque coverage and three coats give solid coverage. 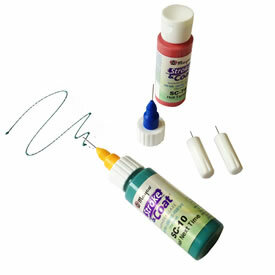 You do not need a clear glaze over the Stroke & Coats if you use at 3 coats. All are non-toxic & dinnerware-safe. 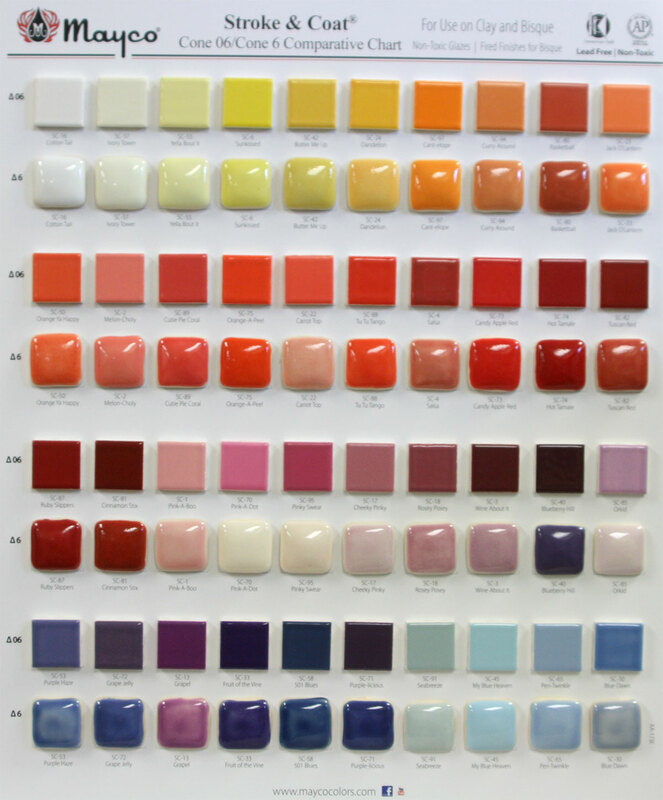 We ship most Stroke & Coat glaze orders the same day if ordered by 3:30 EST! For more information on Mayco Stroke and Coat Wonderglaze Please Click Here.